Tip #101 Is it a business that buyers could get excited about? Is it a business that buyers could get excited about? Like everything else in this world, people react to something that they are attracted to and that gets them excited. Even though buying a business should be a logical decision, there is a certain amount of emotion involved. 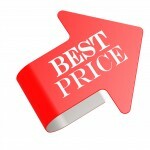 The businesses that attract the most buyers and bring the highest prices usually have great appeal and a strong future. That can mean something special, something visual or more important, good solid profitability. Business owners who are anticipating selling their company must take a hard look at their business and make sure they take steps to make it something that buyers will get excited about. Read “Start Now to Prepare to Sell Your Business This Year“.